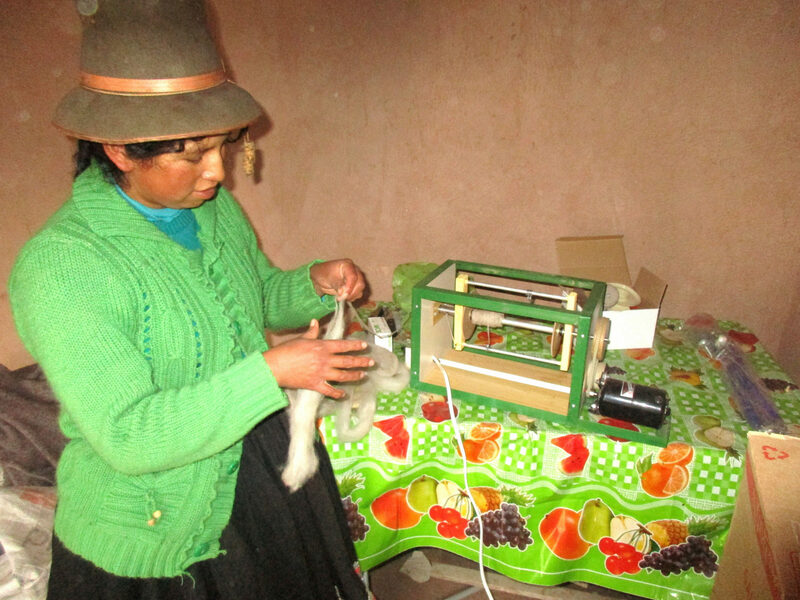 The project aims to use solar systems to make electricity accessible to 8 families, allowing the use of electric lights in their homes and the development of small productive activities based on the transformation of alpaca wool. 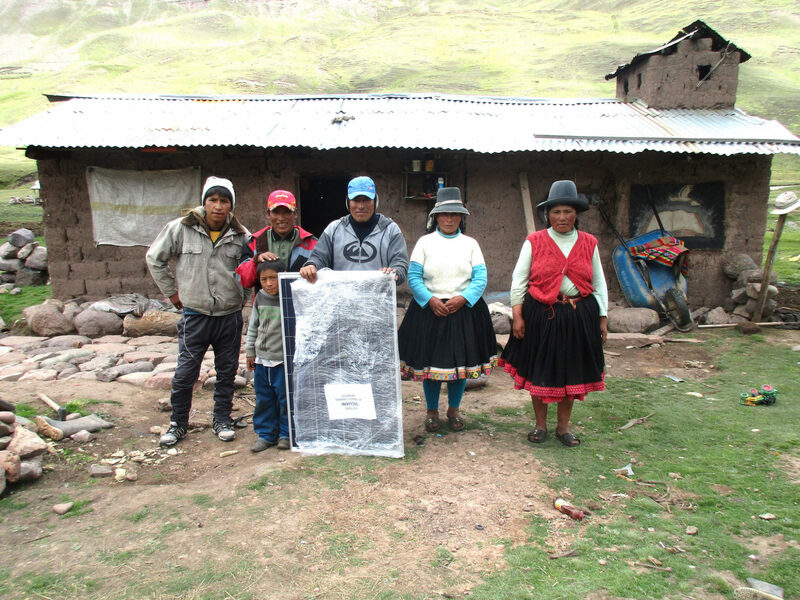 The project will benefit the Chillca community in the sector of Uyuni in Cusco where 40% of the population is categorized as extremely poor. 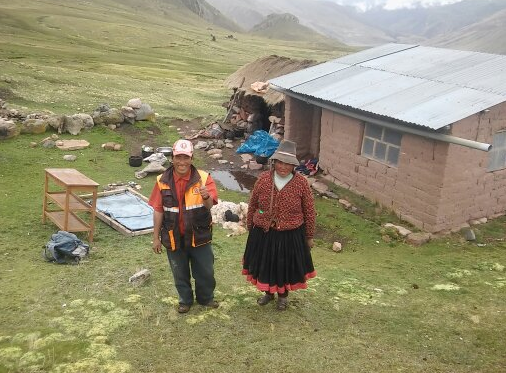 The area is located in between 4,250 and 4,950 meters above sea level, which makes it ideal for breeding alpacas, to which all the families in the community are dedicated. 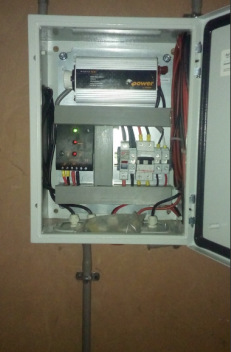 However, due to the isolated location and dispersed population, this community has had no access to grid electricity and is currently not included in any future electrification plans by the State. 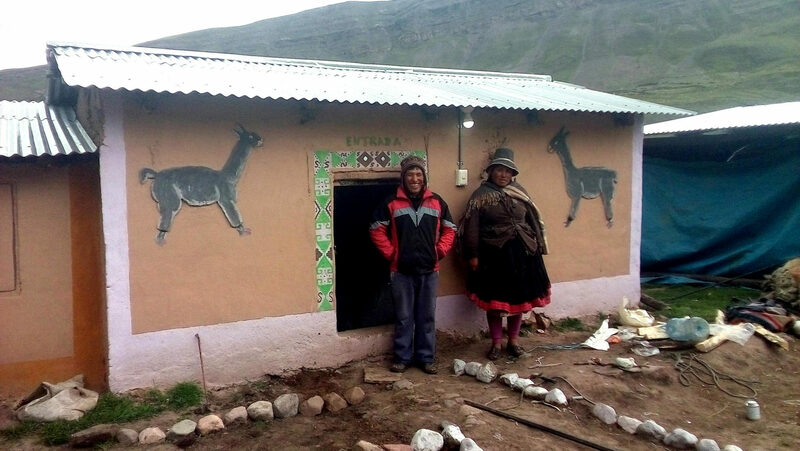 The lack of access to energy not only affects the comfort and quality of life of the families, but also contributes to the low levels of family income, because the families cannot transform the “raw” alpaca wool that they produce and are obliged to sell it to intermediaries. 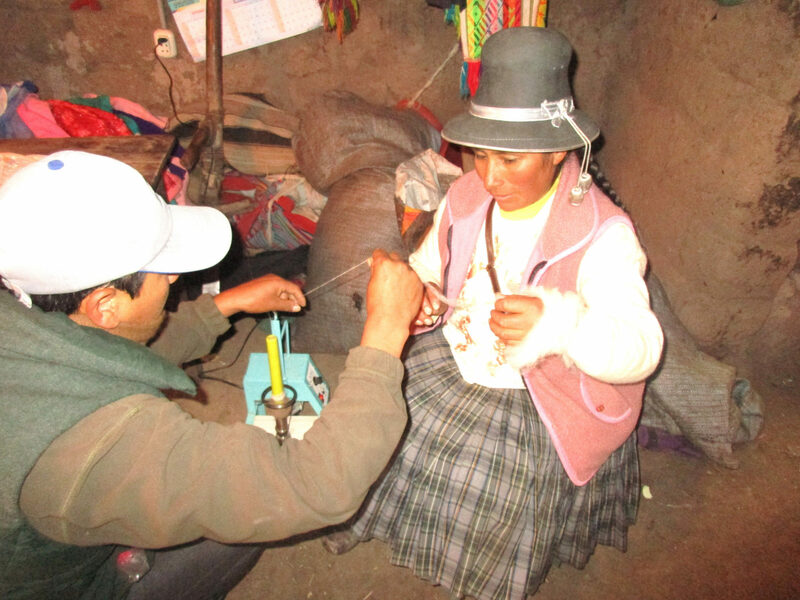 If there is an opportunity for transforming the wool, this could improve their income prospects. 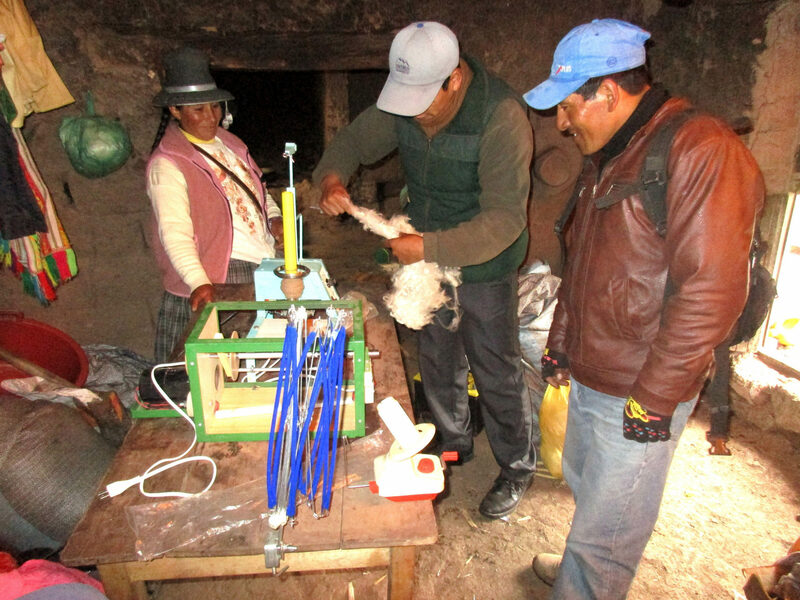 In this respect Practical Action has recently implemented a project using solar systems, in which not only illumination is provided, but also electricity to power some small spinning machines with which artisanal yarn (form alpaca wool) can be produced. 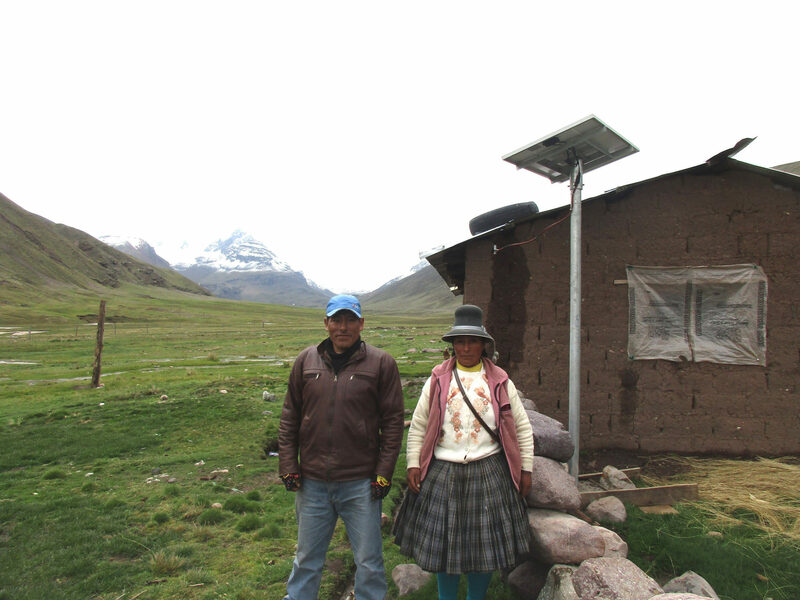 This project will serve as a pilot in the region of Cusco, so that is can be replicated by other communities nearby. 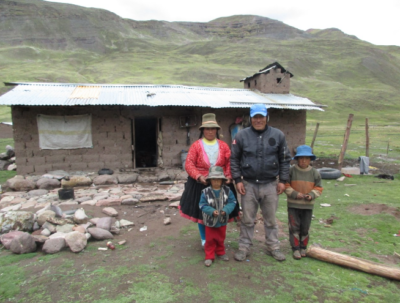 Two families selected for the project live in the community of Chillca and are dedicated to alpaca breeding. Due to the lack of electricity in their homes both families could not apply energy to their production activity in order to get a higher income. The first family consists of 6 people: Hernán Huamán Condori (34 years old) with his wife Aniceta Gonzalo Suyo (35) and their children Oscar (14), Sergio (13), Jhon (5), and Joel (3). This family has a herd of about 120 alpacas. Husband and wife are dedicated to alpaca breeding. The wife does craftwork, as a second activity, and she makes scarfs, chullos and other pieces of clothing using alpaca fiber. She is a member of an association of artisans. She says that spinning the fiber takes her a lot of time and she does it in the traditional way (using a distaff). The second family consists of three people: José Huamán Condori (39), his wife Eulalia Huayta Mescco (37) and their child Julian Eloy (18). They have a herd of about 170 alpacas. The wife also makes clothing, but to a small degree. 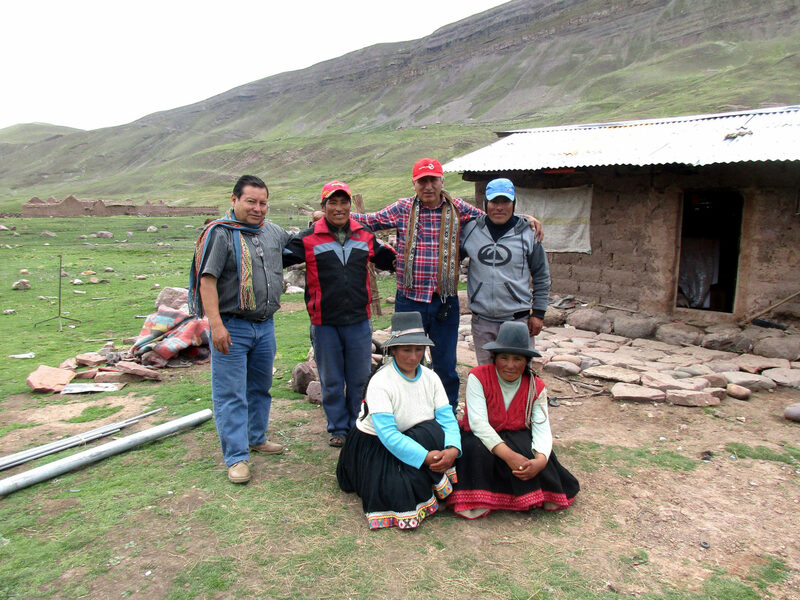 The visitis of the families took place in their “astanas” or temporary shelters where they graze their alpacas, far away from their main home in the sector of Uyuni. The materials and the solar power systems were delivered on December 19 and the next day the installation was completed. The families appreciated the installation and promised to use the materials provided properly. As part of the installation process, the users were trained on the operation of the system. They will be also taught by specialists in the use of the spinning wheel, the yarn cone winder and the spindle, as well as in the wool washing process to improve the yarn quality. This activity will be done as soon as the appropriate trainers are found. 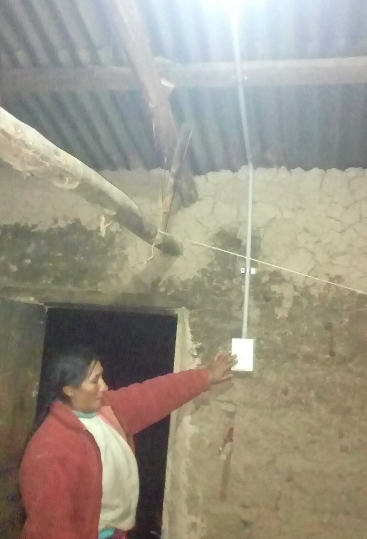 The beneficiary families now are using energy at home and light their places at nights. This allows a family to save around USD 2 – 3 per month. Besides, they do not use polluting energy source any more. The energy is used to activate the spinning wheels, which allow them to save time and to improve substantially the production of yarn, which also improves the clothing and let the producer sell part of his/her production transformed into craft thread. This project will also benefit children who can use energy for studying at home when they are back to school in March. It is worth mentioning that the local authorities have expressed their interest in investing their own resources for similar projects in the future after assessing the outcome and results from this project. Approximately 12 families live in the sector of Uyuni, which belongs to the community of Chillca, district of Pitumarca, province of Canchis, at approx. 58 km from the capital of the district. The road is semi-paved and it has a good accessibility. The main economic activity of most Chillca inhabitants is the breeding alpacas. However, the families have no electricity at home, and they do not know the application of energy to their productive activity. 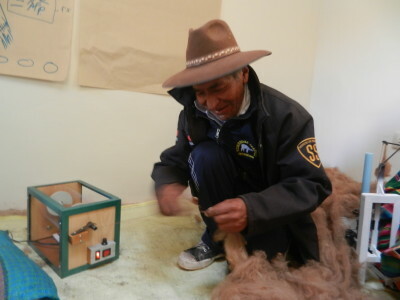 Therefore, the breeders have no possibility to add value to their product – alpaca fibre, and have to sell it raw, obtaining as a result a very low income (the cost of the fiber is around USD 2.5 – 3.5/pound). Practical Action (PA) is an international non-governmental organisation (NGO) that uses technology to challenge poverty in developing countries. Through technology PA enables poor communities to build on their skills and knowledge to produce sustainable and practical solutions – transforming their lives forever and protecting the world around them. PA have worked in Peru since 1985 with various vulnerable populations, helping them improve their quality of life through the development of appropriate technologies. This project is also part of EKOenergy’s Climate Fund.